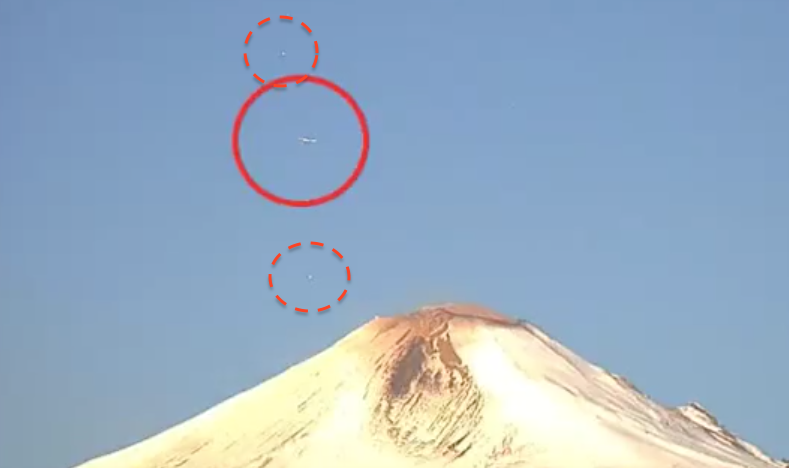 UFO SIGHTINGS DAILY: UFOs Over Mexican Volcano Popocatepetl On March 12, 2016, Video, UFO Sighting News. UFOs Over Mexican Volcano Popocatepetl On March 12, 2016, Video, UFO Sighting News. These UFOs were recorded by Mibit Channel of Youtube. There are several UFOs at any given time near the volcano and since the live cam only gets still shots ever 20 seconds or so, there is no video, so we cannot see the UFOs move. All in all, still a good catch.